Carpet One Floor & Home in Roxboro is your local flooring retailer. We are experts when it comes to carpet, and we have flooring professionals who can help you find the ideal carpet for your lifestyle. We will focus on a carpet that is based on your needs, such as how busy your home is, the softness of carpet you want, and how often accidents happen. Our professionals use our exclusive Select-A-Floor™ system, which matches your needs with your perfect carpet. Who knew finding the right carpet could be so easy? Carpet is still one of the leading choices for flooring. There are many benefits to installing carpet in your home, such as adding softness and stylishness to your home. With hundreds of carpet options, you can get carpet that is soft, luxurious, and trendy. How do you choose the carpet that will work for your home? Understanding both your own needs and how each type of carpet functions will ensure your carpet choice is the appropriate one. Consider how you use each space in your home and where you plan on installing carpet. Will it be in any hallways or staircases? If so, you will want to think about stain resistant carpets. Do you want a bold, exciting carpet in your bedroom? You will want a carpet that holds color well and is fade resistant. Determine what you need and in what room to get the right balance of function and style. Choosing the right carpet is a huge step in being happy with your flooring for a long time. There are five different types, level loop, patterned, textured, frieze, and plush. Bedrooms and living rooms are the best bet for carpet installation. Carpet will contribute to the surroundings in the room, adding warmth and comfort. Our stain resistant carpets can also be installed in some surprising areas, like hallways and stairs. We even have carpets that are pet-proof! It is not recommended to install carpet in areas with high moisture like kitchens or bathrooms. We are proud to be part of the Carpet One cooperative which gives us the buying power of over 1,000 stores. Our carpet brands include popular brands as well as some exclusive Carpet One brands such as Relax it’s…Lees®, and Tigressá®. Stop by our showroom in Roxboro, NC to check them out in person and get all of your carpet questions answered! There are five types of carpet. Choose the right carpet for your lifestyle, and you will be sure to enjoy it for years to come. Stain resistance carpets make caring for them even easier. 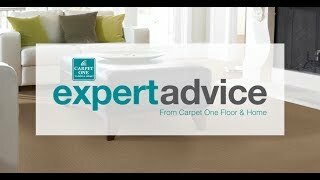 Learn about how to take care of your carpet no matter what the type.